2. Apologies for Absence – Cllrs Jackson, Mann. Cllr Mrs Bolton declared a non pecuniary interest in matters pertaining to the Village Hall as a member of the Committee. Cllr Mrs Paige-Stimson declared a non pecuniary interest in matters pertaining to the Youth Hut as a member of the Scout organisation. 8.1 Soil from Dog Close update Clerk – The site foreman had confirmed he would deliver soil to the Bowls Club entrance as soon as the heavy plant machinery was back on site. This had not occurred, and the Clerk had reminded him the matter was outstanding by email. Recommendation to approve the preferred contractor to fence off the play area and trim trail area of the Mountford sports field play area It was agreed to ask companies 3 & 4 to carry out a site visit and company 2 to revise the quote if possible. All three companies to be reconsidered at the January meeting. 9.1.3 ROSPA report (Mountford) – Cllrs considered the content and noted some remedial works required. It was noted the Dovehouse inspection was now underway following completion of the renovation. Cllrs considered the ongoing and additional requirements of the ground’s maintenance contracts. It was agreed to go out to Tender following the January meeting of the committee. 11. Budget 2018/19 & 2019/20 – Cllrs considered the budget to date and reconsidered the budget request for precept. 12. Handyman update Clerk – The Handyman had carried out repairs on the WSCC gas meter box following it breaking down, was carrying out inspections on the play equipment and planters in the precinct monthly and had removed the old locks on the Newbold Road land gates and repair of the boundary fence by the Annex. 13.1 Report Simon Isted – noted. The Cricket Club had received the All Stars Award and now has the largest membership of any club in Warwickshire. 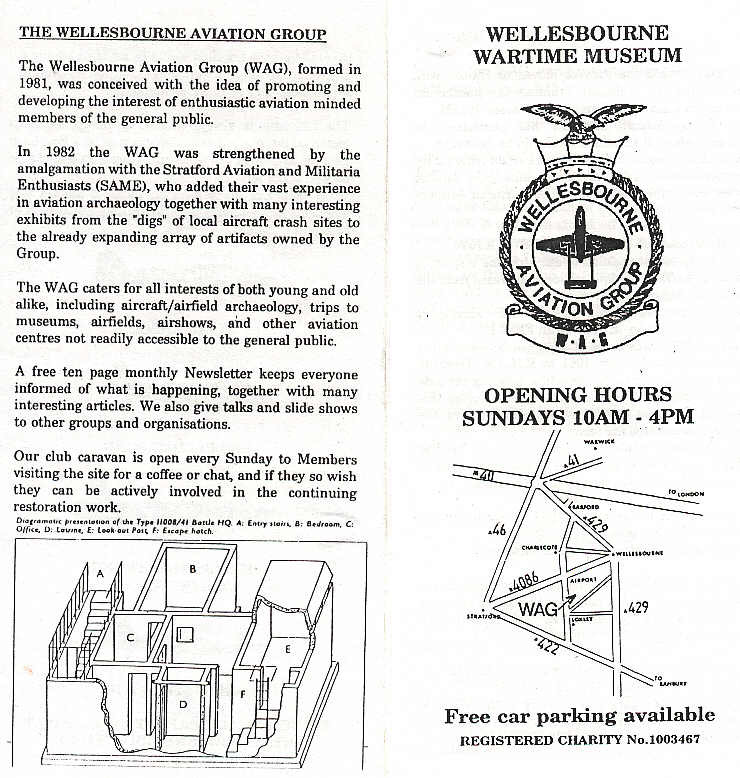 The Wellesbourne Wanderers were expanding their teams and it was noted there had been an increase in female membership. Mr Isted said he was confident that adult football would return by the 2020 season. 13.2 Review of Sports Association Lease – Cllrs considered the content of the lease. 14.1 Review of Chedham’s Yard Lease – Cllrs considered the content of the lease. 15.1 Review of WSCC Lease – Cllrs considered the content of the lease. Properties and suggested the Council look at this sometime in the future. Newbold Road land – The Topographical surveys were complete and with RAB the company carrying out flood risk analysis report. Once complete, the report would show any mitigating issues or give the all clear to go ahead with a change of use application to SDC Planning to use the land for school drop off and parking areas along with access to playing fields behind the Annex school. It had been agreed, should this use be permitted, the school caretaker would open and lock the gates at the appropriate times. Other considerations were the strengthening and widening of the entrance as it accesses the land over a drain, and arrangement of two further quotes for fencing off the area. Dog Close land – Lease was still awaited, the queries relating to the Easements had been amended and it had been confirmed the Medical Centre would have responsibility for the outlet into the SUDS. The Chairman had been invited to attend a site meeting in December to look at how remedial restoration of the land to be taken over by WWPC would be handled. It was noted that the whole area had been ploughed up by heavy plant machinery, and that the area would be landscaped and given an initial seeding. It had been agreed that the Medical Centre would arrange landscaping be placed at each end of the SUDS to prevent walkers going between the SUDS and the fence. One quote had been sought for fencing requirements, further quotes would need to be sought and a quote for an accessible gate was to be sought. Village Hall – A notice had been sent out by SDC giving notice of ‘SALE OF A COMMUNITY ASSET’ with a public consultation period until 28th December 2018. The word sale was acknowledged as a legal term as the Parish Council were leasing the hall for 125 years not purchasing it. SDC confirmed this was necessary to avoid judicial review in the future. The draft lease for the Village Hall Management Committee had now been amended by the Council’s solicitor. The company who assessed the old youth hut did not return with any advice as to the possible restoration of the property. Builders would be approached to give structural advice as to retention and restoration or removal. Cllr P-S requested that in case in future times a project is suggested, that the Scouts/Guides would be interested in such a project and would support it. 16.2 Meeting with school (Mr Granelly – Chair of Governors/Pick Everard consultant) – A meeting was to be arranged with Mr Granelly and the school in the coming weeks. 17. Joseph Arch commemorations – Mr Podbury, Kineton Road asked how WWPC were to commemorate the 100 year anniversary of the death of the late Joseph Arch. (Date of death 12th February 1919). He asked the Council to consider making the Joseph Arch Way walk more accessible to pushchairs and wheelchairs with a more permanent pathway. Cllrs felt the river path was too dangerous to encourage young children to walk and it would not be ecologically sound to drive a stone pathway through the countryside also noting the land did not belong to WWPC. Cllrs agreed a walk in the spring would be more achievable and that youth groups should be encouraged to join any walks organised. Clerk – WCC finally had agreed to permit the Lengthsman to carry out the clearance on the coppice in front of the Mountford sports field, and that they would remove the arisings.